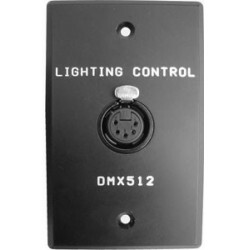 The Buffered DMX512 Wall Plate is a single-gang "switch box" cover, milled from black anodized solid aluminum. 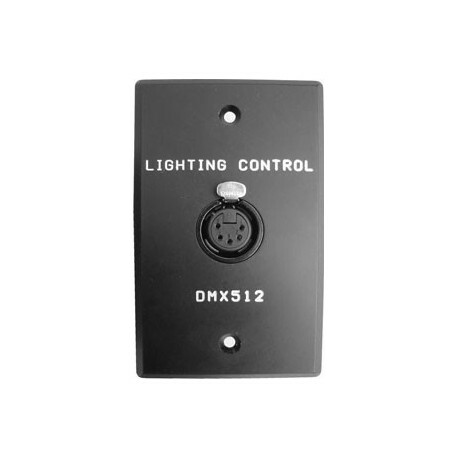 It is fitted with a female 5-pin XLR connector, and "LIGHTING CONTROL DMX512" is permanently milled into the faceplate. 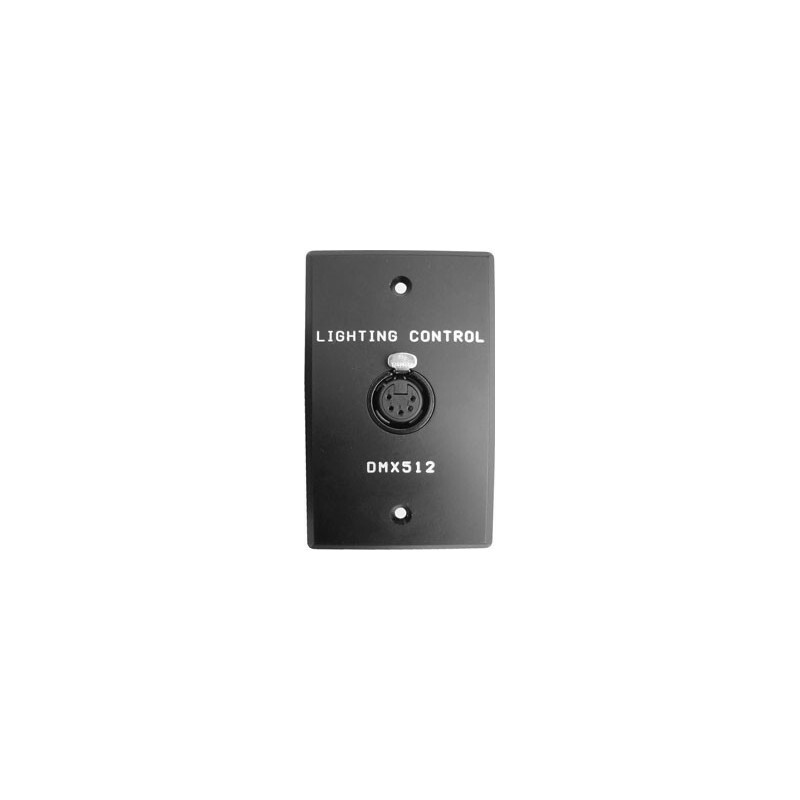 Screw terminals are on the back of the wall plate for easy field wiring.